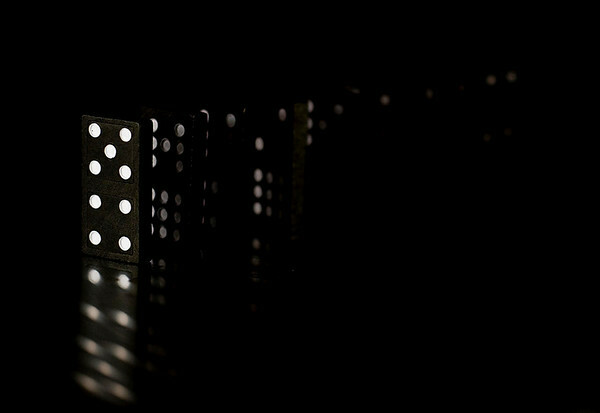 A few days ago I saw a shot of some dominoes (I can't remember where or I would link it.). It was a close up of just a few of them standing on end. I thought it would be nice to make a shot like that, but I couldn't get quite as close with my gear...so I had to adapted it.